Taking Action Express: NEW MNBTE Photo Gallery; Linking Mental and Physical Health; 86M with Prediabetes…and More! 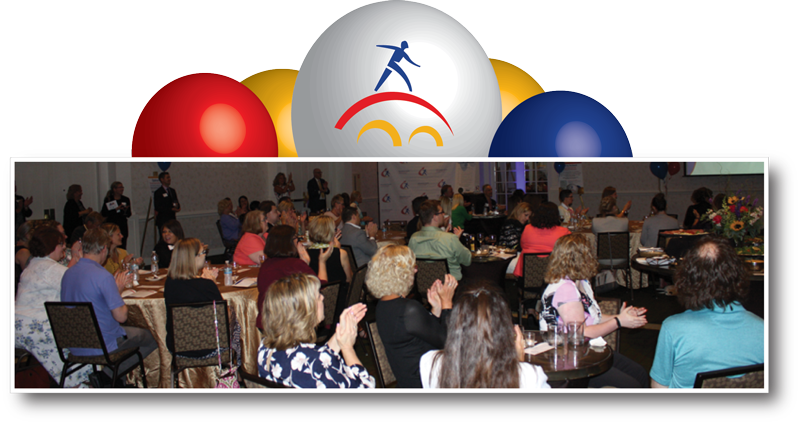 This year’s Minnesota Bridges to Excellence (MNBTE) recognition reception on July 27, 2017, featured inspiring speeches, deserving award winners, and great food and fun. The photo gallery can be viewed here. While this is the final year of MNBTE as we know it, the reception was abuzz with ideas for taking the pay-for-performance concept to the next level in Minnesota and beyond. 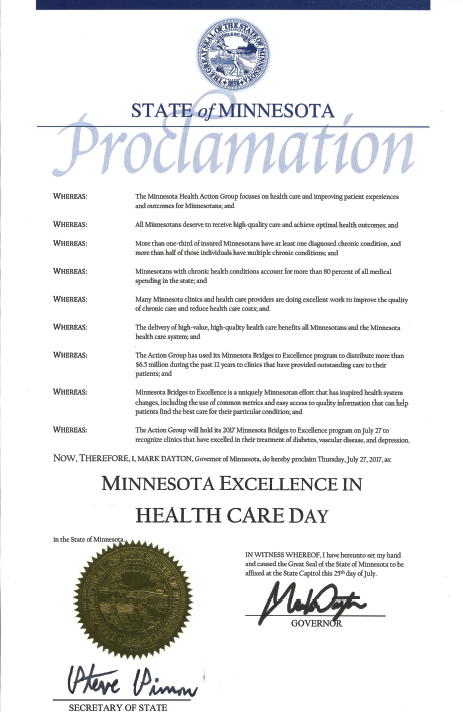 Governor Mark Dayton even declared the day to be “Minnesota Excellence in Health Care Day.” See his Proclamation here. A Special Edition of Taking Action Express has been created to commemorate the event. Action Group Mental Health Learning Network members are identifying opportunities to improve access to care, and to reduce the stigma often associated with mental illness. One in five patients hospitalized for heart attack or chest pain develop major depression — about four times the rate in the general population, according to the American Heart Association. And heart disease patients who become depressed are twice as likely to die within the following decade as other patients, according to an unpublished study presented at the American College of Cardiology’s annual meeting. Action Group members and guests gathered July 26 to learn about how the Minnesota All Payer Claims Database (MN APCD) is helping create a system of greater provider cost and quality transparency. 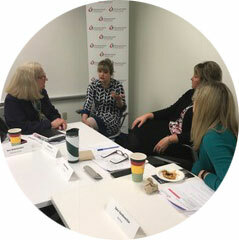 In ongoing efforts to reduce low-value care in Minnesota, Action Group members have been participating in MN APCD focus groups and key informant meetings to guide the development of proposed reports to deliver on goals for expanding health care coverage, reducing costs, and improving quality of care. To view the MN ACPD Fact Sheet, please click here. 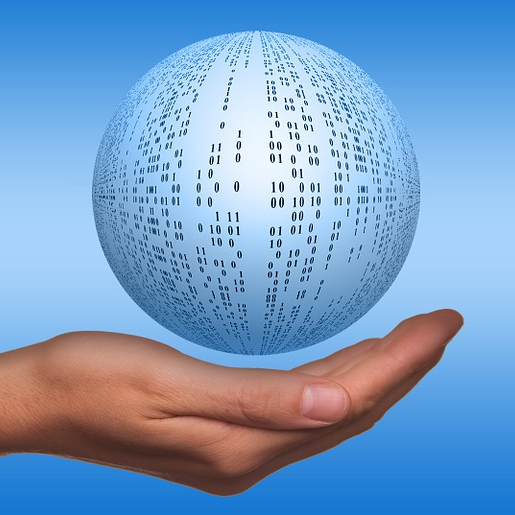 Members may access presentations from the meeting by logging into the Member Center from The Action Group’s homepage. Did you know that one in three American adults — or about 86 million people — have prediabetes, and 90 percent of them don’t know it? 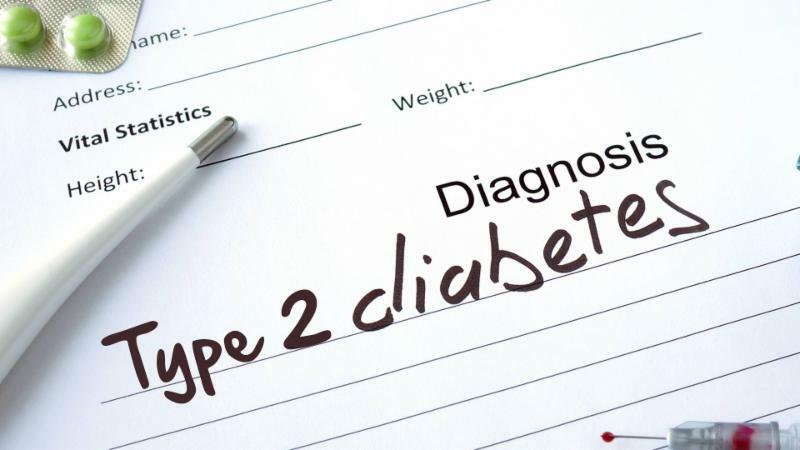 Without intervention, up to 30 percent in this group will develop type 2 diabetes within five years, leading to significant cost and quality of life challenges. High-value, turnkey, timely (and free!) 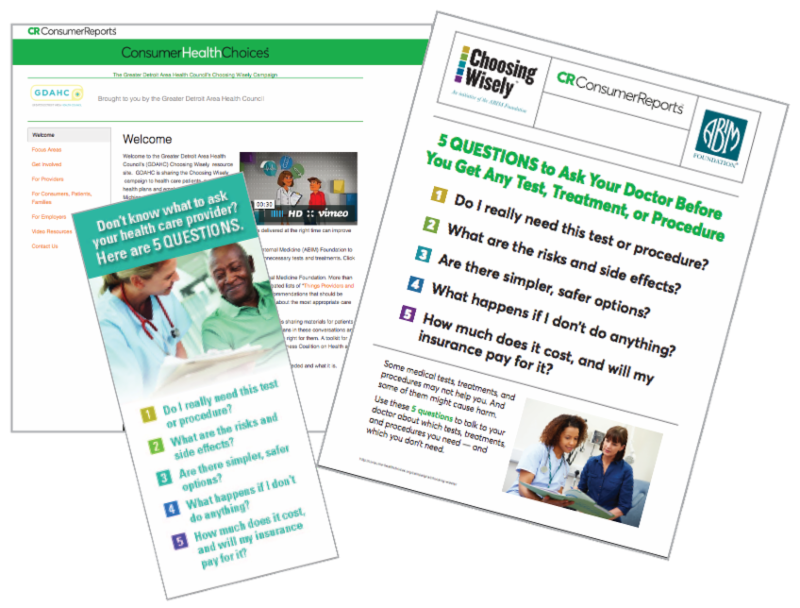 employee communications to improve patient/provider conversations and reduce health care system waste are available from Consumer Reports and The Action Group. We have collaborated to develop a monthly campaign for Minnesota employers. With August being prime time for many allergy sufferers, new content focuses on the pros and cons of allergy testing, and includes practical self-help recommendations. Click here to view this, and all of The Action Group’s Choosing Wisely toolkit content. 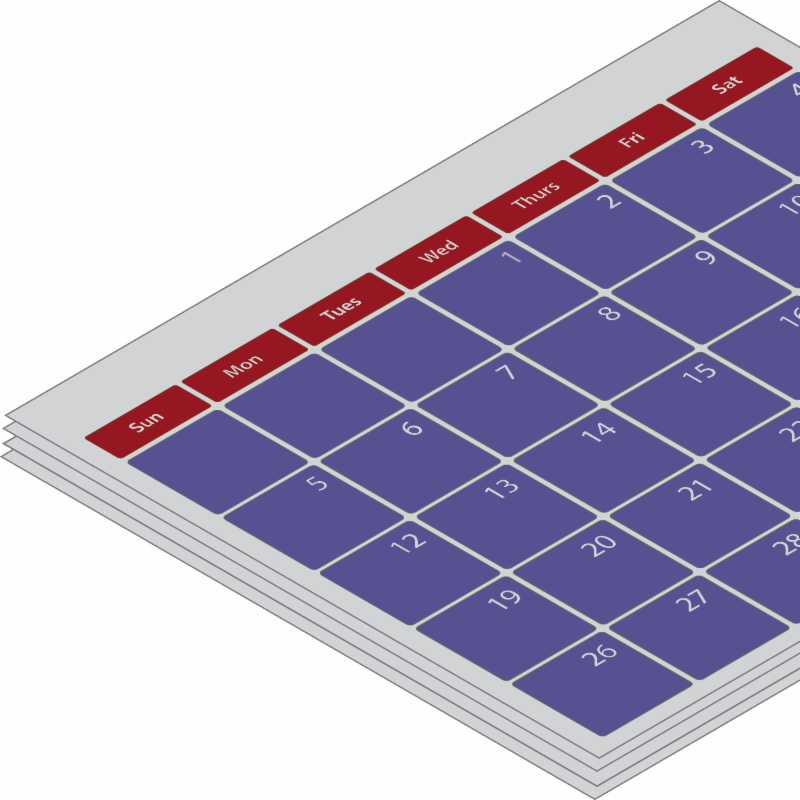 Action Group members automatically receive monthly reminders to use specific Choosing Wisely content. To add other colleagues, simply click on the link below.Action Group members have access to the entire 12 months of content by logging into the Member Center on the homepage.